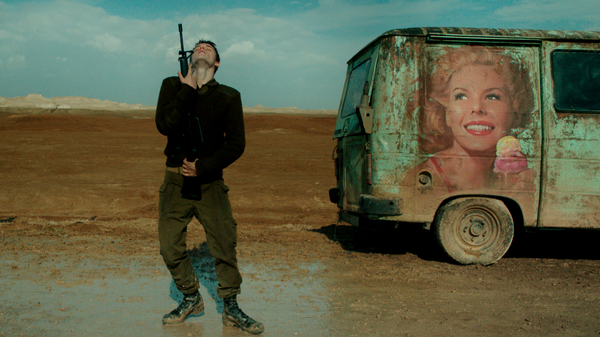 Director Samuel Maoz (Lebanon) inspects the bitter absurdities of war and the impact it has on people with this intelligent dark comedy about a troubled family who are forced to confront difficult truths when they receive shocking news from their son's military post. At a remote Israeli military checkpoint four young soldiers try to burn away the hours of boredom that occur between cars arriving for inspection and the occasional lone camel walking by. Meanwhile at home, Michael and Daphna Feldmann have barely begun to take in the horrific news about the fate of their military conscripted son Jonathan, when they discover that all is not as it seems. 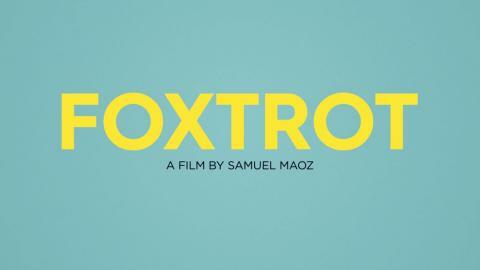 Expanding from the confines of his award-winning debut Lebanon (set entirely inside a tank), Maoz adopts a wider perspective here (this is definitely a film to savour on the big screen) to examine the impact of regimented behaviour. Winner of the Grand Jury prize at Venice, this bold vision of warfare is both a breathtaking cinematic experience and a resonant reflection on modern Israeli life.